Smartphone manufacturers have been continuously putting efforts to render flagship specifications in its latest devices. In this aspect, the companies are trying to provide thinner bezels, as many as camera sensors, high amount of RAM, elegant design and more. Interestingly, all these features must be lag- free and render better speed/ smooth experience without any causes. 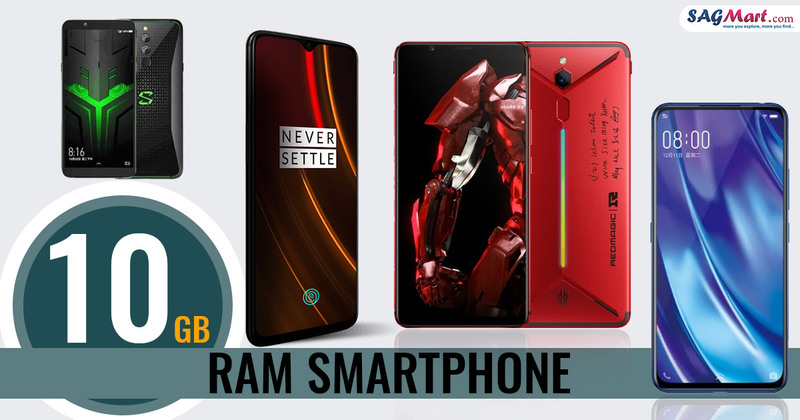 RAM is one of the important factors of the smartphone in which the performance of the device depends. Modern processors, high RAM storage on the device has been increasing quickly over the past few years. In simple terms, a high amount of RAM allows you to run more apps in the background without slowing down the speed of the device as well as you can play high-end games such as Fortnite, and PUBG. Few of the manufacturers have already launched the smartphone with mammoth 10GB of RAM and others do planning to unveil in the near future. 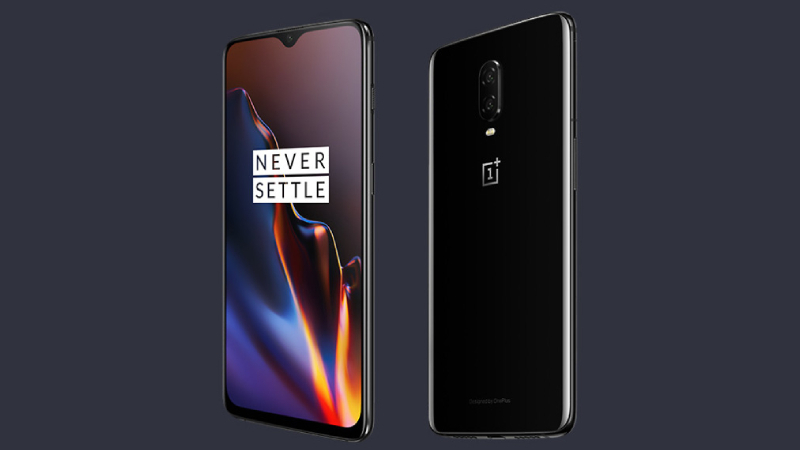 OnePlus 6T McLaren Edition has been launched on December 2018 with the 10GB of RAM and fast charging technology, Warp Charge 30. The handset available in India with a price tag of Rs 50,999 for the massive 10GB RAM & 256GB internal storage model. This is the first smartphone of India which offers 10GB RAM. The device powered by under-display fingerprint scanner with a knitted Papaya Orange Color cable. The device has a 6.41-inches Optic AMOLED capacitive touchscreen display and operates on the Android v9.0 (Pie) skinned with OxygenOS. The dual-sim smartphone offers 16MP + 20MP Dual primary camera along with a 16MP front shooter for the selfie and face unlock. It gets power from an Octa-core Qualcomm SDM845 Snapdragon 845 (10 nm) processor and a 3700mAh non-removable Li-Po battery. Recently, Vivo launched a smartphone with 10GB RAM is Vivo Nex Dual. The device sports a Qualcomm Snapdragon 845 processor and comes with two screens, one at front as well as back. The Vivo Nex Dual eliminate the notch, it does away with any moving parts which might pose questions on long term durability. The handset comes with a 6.39-inch OLED display on the front & 5.49-inch OLED display on the back of smartphone. That aside, it also has 3 primary cameras featuring 12MP, time of flight 3D camera, specialized video camera. The Vivo NEX Dual has been launched in China but its availability in India is still a question mark. Nubia is one of the mobile manufacturers who produced handsets that appeal to smartphone gamers. Recently, Nubia launched a Gaming Smartphone in India, is Nubia Red Magic. Now It launched another variant in its home country, China. 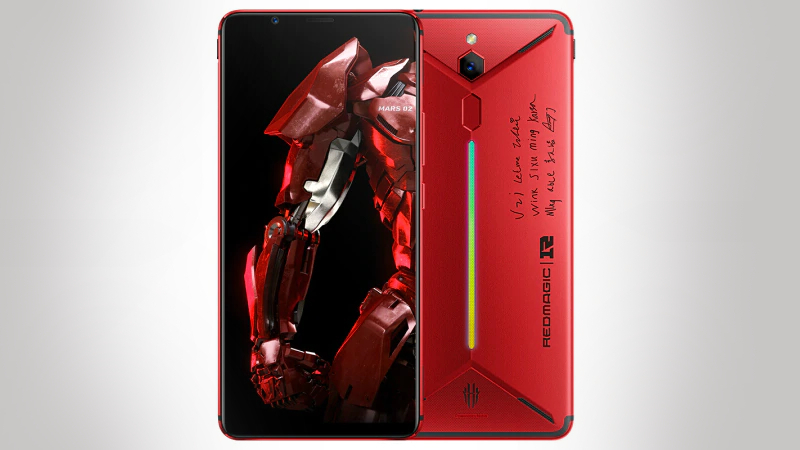 The new variant Nubia Red Magic Mars RNG Edition is basically highlighted from its name, this model name is dedicated to the Chinese eSports team, Royal Never Give Up (RNG). The new handset comes in red shading and sports marks of the RNG players on its back. Furthermore, it comes in 8GB and 10GB RAM options and powered by an octa-core Qualcomm Snapdragon 845 SoC processor. The mobile manufacturing companies are trying to design a smartphone, especially for the gaming enthusiast. 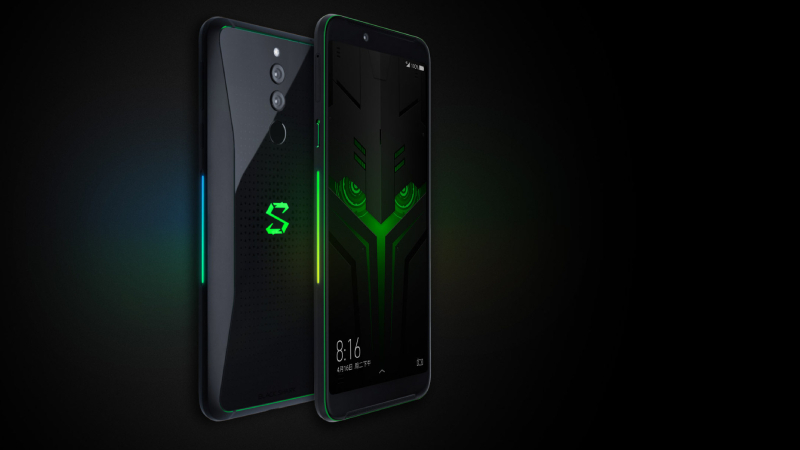 The Xiaomi recently launched a Black Shark Helo smartphone with massive 10GB RAM, it is an upgraded variant of Black Shark. The Android phone comes with a 6.01-inch AMOLED full HD+ display with the screen resolution of 1080 x 2160 pixels and the wide range of gaming-focused features like multilayer liquid-cooling, dual-stereo speakers. The device powered by Qualcomm flagship chipset Snapdragon 845, quad-core processor and operates on the Android 8.1 Oreo OS. It available in 6/8/10GB RAM and 128/256GB internal storage variants. The smartphone offers 12MP + 20MP dual primary camera and 20MP front shooter for the selfie. Chinese smartphone manufacturer Oppo decided to launch his 10GB RAM Smartphone in India, Oppo Find X. The Android smartphone powered by Qualcomm Snapdragon 845, paired with Adreno 630 GPU and runs on ColorOS 5.1 on top of Android 8.1 Oreo. Its 8GB RAM & 256GB inbuilt storage model available at the price tag Rs. 59,999. 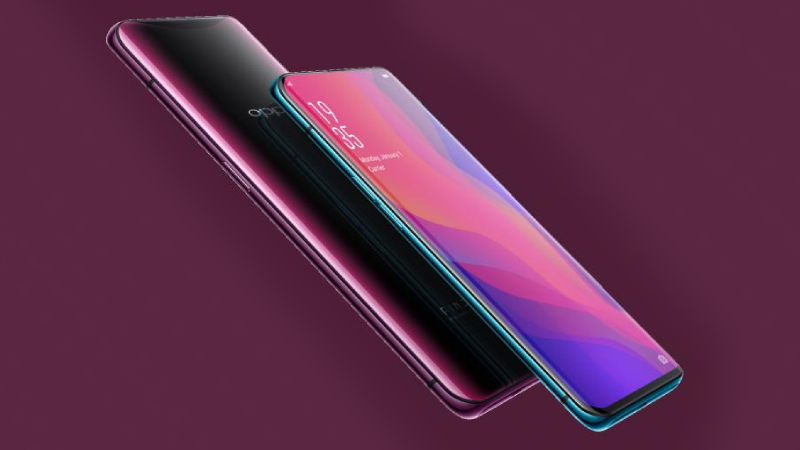 The Oppo Find X sports a 6.42-inch full HD+ AMOLED display of the screen resolution 1080×2340 pixel. The device comes with a 16MP + 20MP dual rear camera along with a 25MP front shooter for selfies and video calling. The phone packs in a 3,730mAh Non-removable battery. The mobile manufacturing companies are racing to produce smartphones with unique features. Xiaomi is one the best mobile brands who is the part of this race. 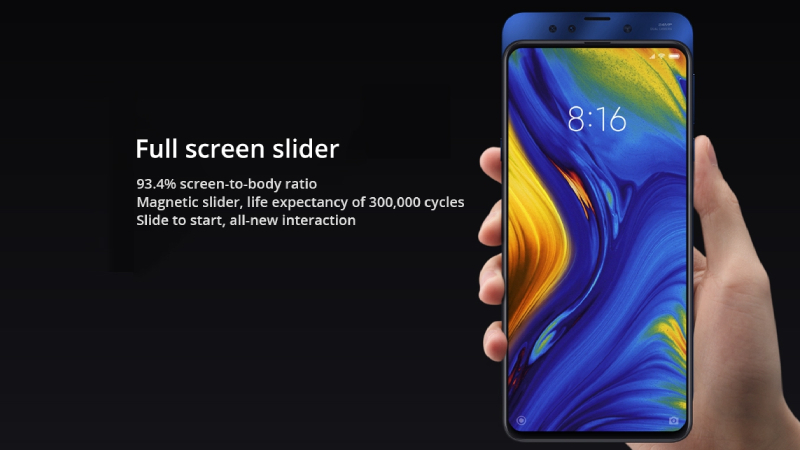 It has launched the Mi Mix 3 with sliding camera setup which is quite similar to Oppo Find X. Its 10GB RAM & 256GB Storage model available at Rs.52,999. The Android mobile sports a 6.39-inch Full HD+ AMOLED Display with a screen resolution of 2340×1080 pixel. The Mix 3 supports Qi standard wireless charging and runs on Android 8.1 Oreo-based on MIUI 10. The device is powered by a Snapdragon 845 processor and a 12+12-megapixel dual rear camera along with a 24+2-megapixel camera on the front.